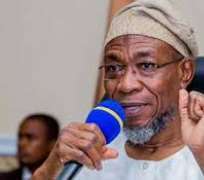 State governors across party lines are presently fuming over an alleged secret payment of N16.67 billion, said to be the last tranche of Paris Club refund payment to Osun state government. The state government was in December 2017 paid along with other states by the federal government the third tranche of the refund, amounting to N6.3 billion. Three tranches had been released earlier to all the states, with the last released alongside the December 2017 federal allocations to enable most of the states owing months of staff salaries offset the backlog. At least three state governors from both the ruling APC and opposition PDP who spoke to Saturday Sun on the latest payment yesterday expressed anger over the secret manner the payment was made to only Osun. They argued that the refund was made to empower the state government successfully prosecute the September 22 governorship election in which the APC candidate, Isiaka Gboyega Oyetola is facing a strong challenge from the candidates of at least three other parties; PDP, ADP and SDP. The third governor who also said he got wind of the payment vowed that he was going to mobilise his colleagues to pressure the federal government to release whatever is due to other states without further delay. “What is sauce for the goose is sauce for the gander”, he stressed. The Federal Government had in March 2018 claimed that it had so far shared N1.9 trillion among states as support from the Paris Club refund. Vice President Yemi Osinbajo made this known in his address at the fourth edition of the Ogun Investors' Forum in Abeokuta.